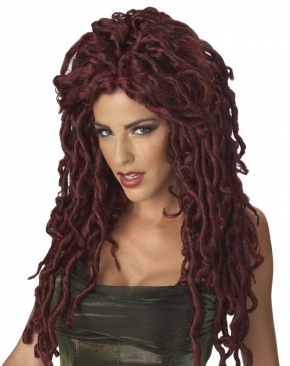 *Mahogany coloured long snake-like curls in an unruly dreadlock style to represent Medusa. No heated styling tools to avoid damaging synthetic fibre. Cool temp styling, plastic curlers, and hairspray are recommended.